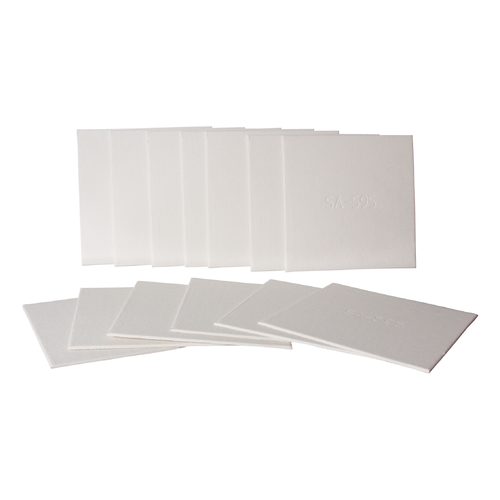 20cm x 20cm filter pads made for 20x20 plate filters. 0.8 micron pads are for ultra-fine polishing of the wine, or for preparing hard to filter wines to go through a sterile cartridge filter. Please note that all pad filters are rated 'nominal', meaning that about 90-95% of all particulate matter at the micron rating will be filtered out. There will always be a little bit of smaller material that is also filtered out, as well as some larger material that will make it through. We use these in our small winery as one step in finishing some of our wines prior to bottling. Quality sheets, each stamped with its rating makes for easy identification. Always good results with these sheets.